Subject to weird transformation, keep checking back! ***All films shown that are in print will be available for sale on site, from the legal copyright owners. 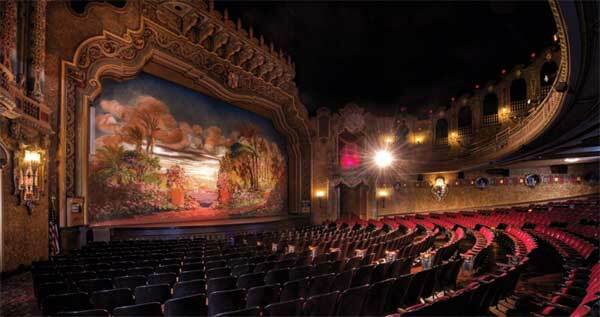 See a display of MCA/Universal product, Kino-Lorber, Columbia Tri-Star, MGM Home Video, Criterion, Image, Fox and others. 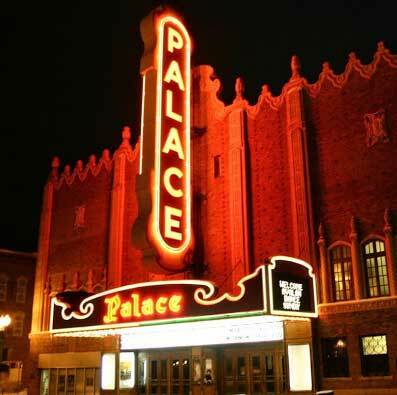 All films screened at an historic, grand theatre: The Palace Theatre, Canton, Ohio. 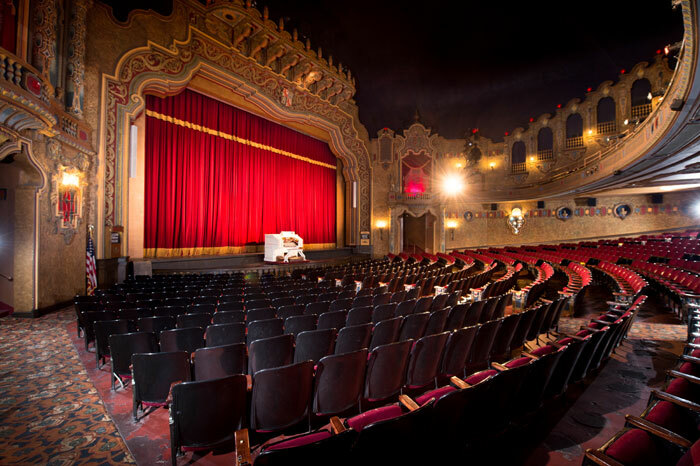 Seating over 1500, The Palace Theatre. Vendors in the lobby and mezzanine level. 3:00 PM - MIDNIGHT: CLASSIC MONSTER VENDORS. Blu-Rays, rare DVDs, t-shirts, posters, model kits, toys, rare collectibles and more! The vendors are open from three in the afternoon until 12 Midnight. So you can shop before the movies and in between films on intermissions. 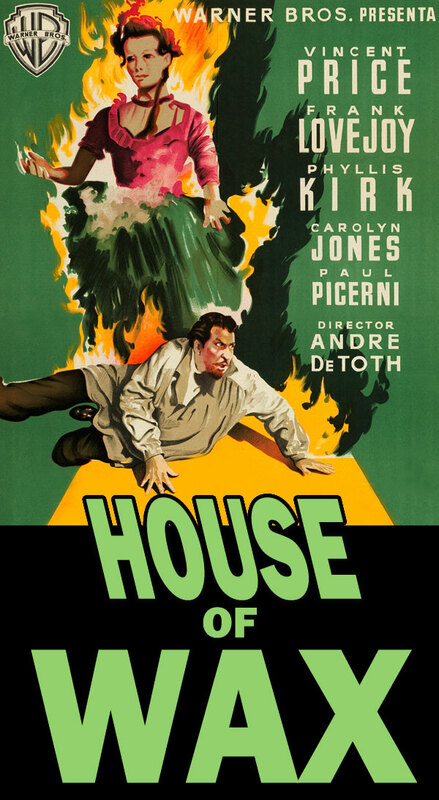 7PM MOVIE: HOUSE OF WAX (1953). The film that catapulted Vincent Price into a full-fledged horror star. Price is a sculptor that is left for dead in his burning wax museum. Hideously scarred and insane, he returns with a new type of sculpting...heh, heh. 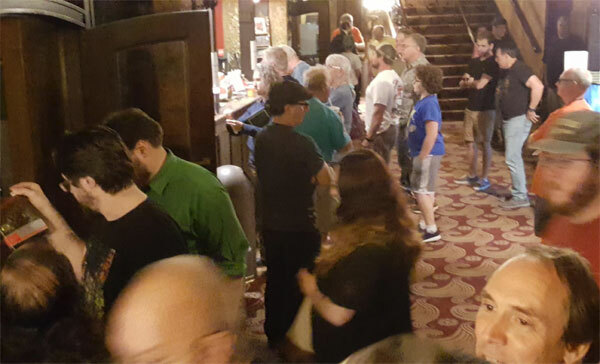 9PM QUESTION & ANSWER TALK: Victoria Price and you! Ron Adams moderates the session with questions on Vincent from the audience. Victoria can relay the behind-the-movies view of "Dad." A look at the man that was an actor, art promoter and wonderful father. 10PM MOVIE: THE FLY (1958). The sci-fi/horror classic with Vincent Price. A case of teleportation gone very, very bad. It's gonna take more than a can of Raid to take care of this beast! 12 MIDNIGHT MOVIE: HOUSE ON HAUNTED HILL (1958). Vincent Price as a millionaire who has a "Haunted House Party!" He invites people he doesn't know to spend a night in a haunted house. He awards a cash prize for anyone who can make it through. Elisha Cook Jr. as a nervous wreck is wonderful. 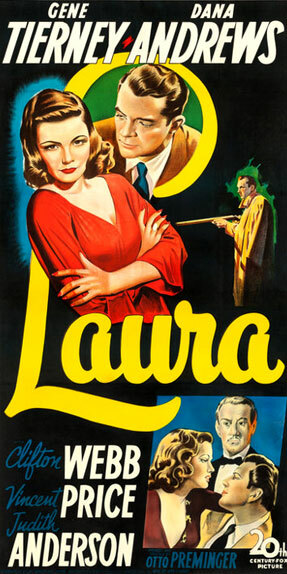 One of director William Castle's absolute best! 12:00 NOON - MIDNIGHT: CLASSIC MONSTER VENDORS. Blu-Rays, rare DVDs, t-shirts, posters, model kits, toys, rare collectibles and more! The vendors are open from noon until 12 Midnight. So you can shop before the movies and in between films on intermissions. 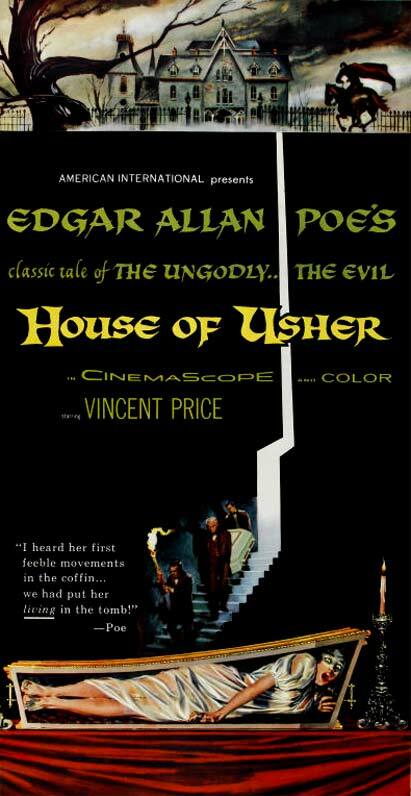 2PM MOVIE: HOUSE OF USHER (1960). Roger Corman's first in a series of wonderful Edgar Allan Poe films. Atmospheric, creepy and brooding with Vincent Price, Mark Damon and Myrna Fahey. Price as the sensitive brother Roderick Usher (with shock white hair) is driven deep into madness and entombs his sister alive, for her own good, much to the dismay of her lover. Roger Corman escalated to new levels with this one. 4PM MOVIE: THE PIT & THE PENDULUM (1961). Vincent Price in his second Edgar Allen Poe film (the first was HOUSE OF USHER) and he's great. The movie is first class with Barbara Steele too! 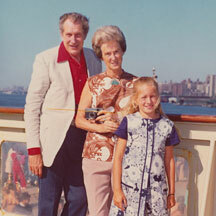 6PM TALK & POWER POINT PRESENTATION: Vincent Price Celebrated by Victoria Price. History, background, family photos and memories, and most of all....inspiratonal. 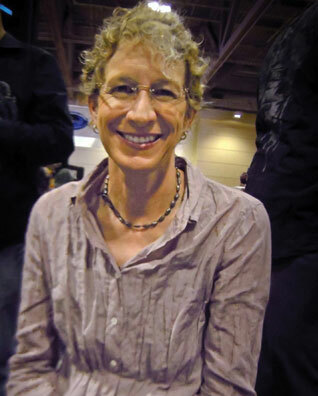 Victoria Price, Vincent's daughter, weaves the tales of a movie star, art collector, man and father into a joyous retrospective of life, love for fans like you and me. 7PM MOVIE: THE HAUNTED PALACE (1963). Vincent Price stars in this tale of unspeakable horrors from the pen of H.P. Lovecraft. The title comes from a Poe poem, but the story is "The Case of Charles Dexter Ward" by Lovecraft. Ancient evil and possession in a spooky old castle. Price plays the decendant of a warlock and the townpeople are pretty darn uneasy about him moving into his ancestor's castle. The town is populated by strange mutants from the warlock's curse on the first go-round! Lon Chaney Jr. in one of his best later roles, plays Simon, the castle caretaker. 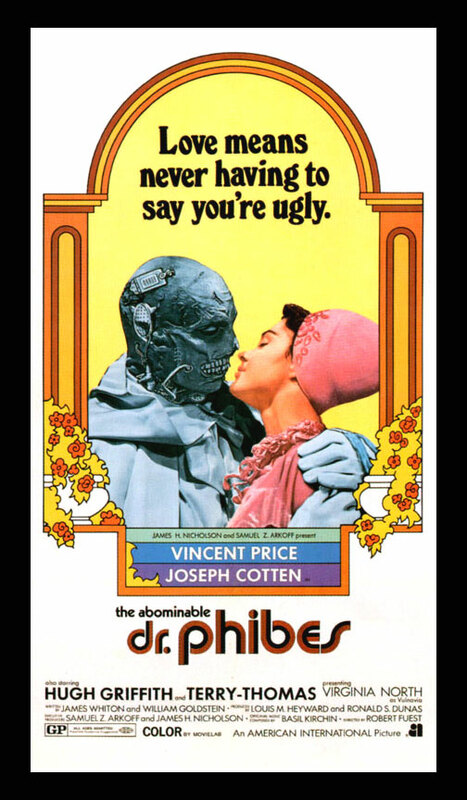 9PM MOVIE: THE ABOMINABLE DR. PHIBES (1971). Stars Vincent Price, Joseph Cotten, Hugh Griffith, Terry-Thomas and Virginia North. A fiery car crash results in the death of a Doctor Phibes (Vincent Price) and severe injuries to his wife. The woman doesn't survive surgery. The BIG news, is the doctor isn't really dead, just disfigured, with a skull-like face -- and he's completely insane. He blames the operating doctors on the death of his wife. He goes about, systematically and creatively, killing them. Using the great plagues as a blueprint for murders, as he sets about his new life's work. 10:30PM FREE PRIZE TOSS! 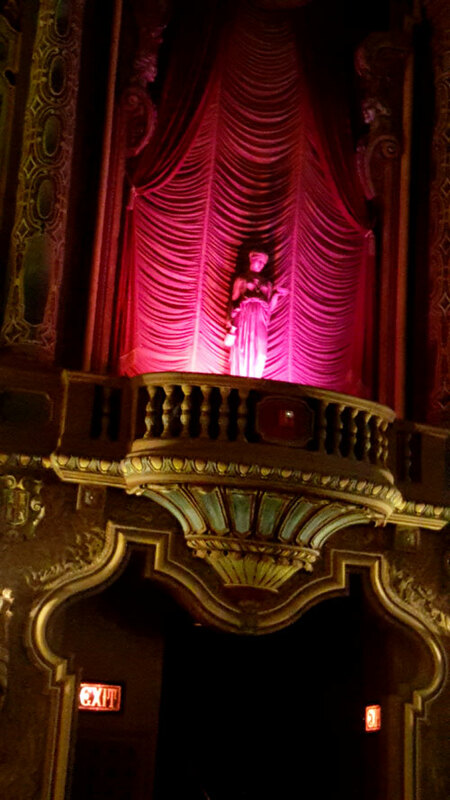 To wrap up another great Palace Theatre MONSTER BASH with Creepy Classics, it's the free prize toss. Right after THE ABOMINABLE DR. PHIBES, Creepy Classics will toss from the stage free DVDs, blu-rays, monster magazines and fun monster toys to the audience as a thank you. Catch what you can. 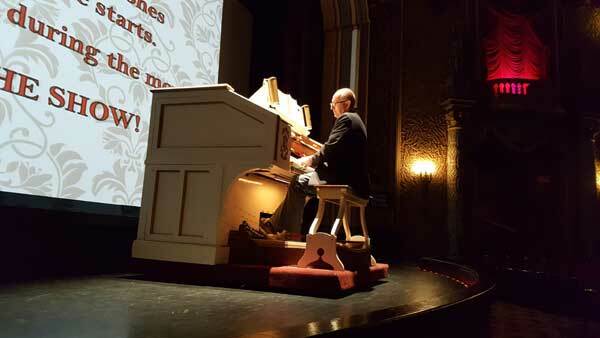 Above: The Palace Theatre's Jay Spencer fills the venue with resounding music. Big monsters on the big screen, classic monster collectible vendors, popcorn, pizza, live organ music between features and good times! 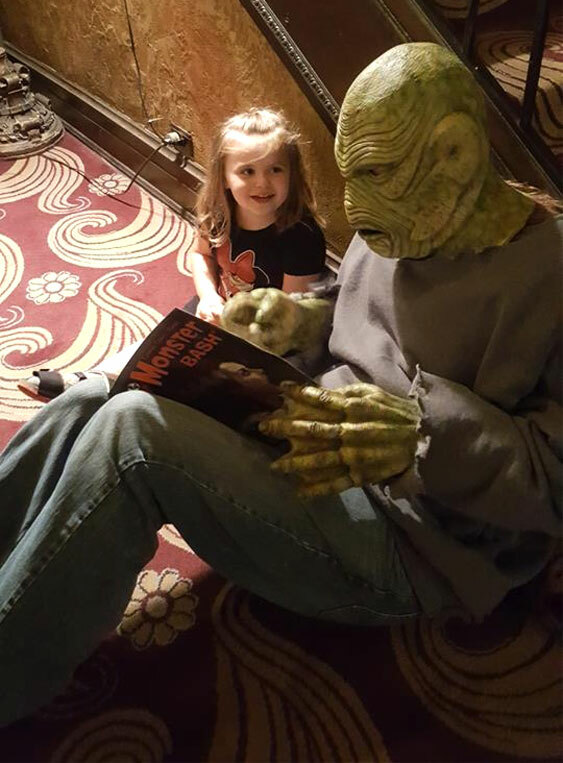 Get your advance weekend admission at a big monster-approved discount right now. CLICK HERE! Get your vendor table now, CLICK HERE. 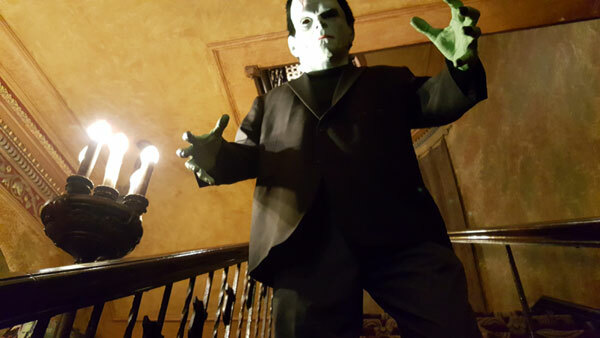 Click here to go back to MONSTER BASH August! Click here to go back to Creepy Classics!